According to this article by Mike Elgan of The Raw Feed, smokers in the Scottish city of Glasgow were mistakenly prescribed the impotency cure Viagra instead of Zyban, the anti-smoking drug due to a software bug. NHS Greater Glasgow has already sent emails to about 900 GPs at 300 surgeries warning them about the malfunction of its "e-Formulary" IT system, which automatically lists the most popular drugs when doctors fill out prescriptions. 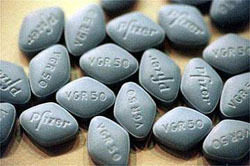 The bug caused the software to select "Sildenafil", the generic name for Viagra, when GPs tried to select Zyban, a drug that suppresses the part of the brain that experiences nicotine cravings, reports The Times. Though the Greater Glasgow NHS issued a statement in defence saying "patient care had not been impaired by the glitch as prescriptions are subject to stringent double-checking by both prescribing doctors and pharmacy staff", a Glasgow doctor revealed that the bug could have caused a problem if a chemist could have unknowingly given a patient Viagra thinking it was Zyban. The fact is that only some GPs double check the prescription after it is printed and might spot the error however most other GPs do not and the patient might unknowingly order Viagra from the chemist. There is a chance the pharmacist could spot this in the case of women but what about men?